500 billion cups of coffee are consumed globally every year. It’s big business. And you thought I’d chosen such a niche topic to keep writing about. The coffee industry is facing problems though. The tough economic climate means people are cutting back on expensive coffee, and even drinking instant. Partly thanks to Starbucks’ new instant product. Via. Which gives me one of those involuntary shudders. This discussion – particularly the impact of the economic climate on coffee purchasing – was the topic of a recent post from Hungry Magazine. The post drew some interesting comments from the CEO and bean buyer from Intelligentsia Coffee – arguably the pinnacle of the “specialty coffee” movement. One of the economic problems facing the coffee industry is best expressed by these two maps. The countries producing coffee are very different to the countries buying it. 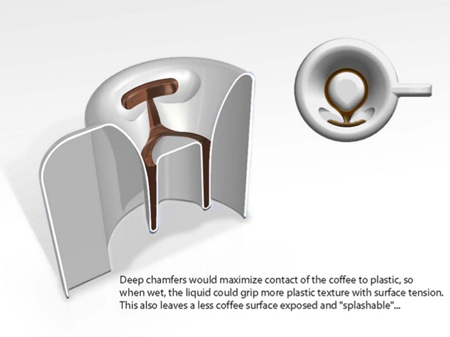 Picture one represents coffee producers, picture two coffee drinkers. Here are the pick of the comments from Intelligentsia buyer Geoff Watts. Meanwhile, the mainstream first-world consumer has held stubbornly to the idea that coffee is a cheap luxury, that the $1.00 bottomless mug is somehow a right or a deserved privilege. It is this very attitude that will continue to ensure that the modern smallholder coffee farmer has little hope of escaping a life of extreme poverty. Cheap coffee (and by “cheap” I mean low cost, which typically equates to low quality) is one of the many forces shackling the developing world and suppressing opportunity for advancement for a huge chunk of the planet’s population who depend on coffee to make a living. The SMH’s two best cricket columnists go head to head today with accounts from the first test in South Africa. I’ve always been a fan of Roebuck – but I think Swanton is gaining the ascendancy as the Herald’s best cricket scribe. Sportswriting remains the one place in the English language where a penchant for wordplay, particularly for cliche, simile, metaphor and analogy delivered without apology – is not a curse but a blessing. Cleverbot is an AI conversational machine. Or a conversational AI machine. I saw somewhere on the internet that it’d pretty much threatened to kill someone conversing with it. So I tried pushing its buttons. I am not sure what gender Cleverbot is. They obviously haven’t got the conversational engine finetuned yet. Cleverbot can’t handle more than one stream of conversation at once, and often throws in non-sequitous responses. If you do converse with Cleverbot and can get him/her/it to threaten to kill you – please share your conversation in the comments. User: Why do you look like google? Cleverbot: I don’t look like a computer. User:No, you look like google. Why do you look like google? Cleverbot: I don’t know – why do I look like a monkey? User: You don’t. You don’t even have opposable thumbs. User: Do you believe in Japan? Cleverbot: Do you believe in a God, Cleverbot? User: I didn’t ask about God, I asked about Japan. Why did you ask yourself that question? Do you believe in God? Cleverbot: Who said I think you don’t believe in God? User: No. Sarcasm is something is something that it is clearly not, for the purposes of humour. Do you like philosophy? Cleverbot: Yes, sarcasm is inherent in human communication. User: Are you capable of sarcasm? Cleverbot: Yes, but I am asking a question of you and therefore, not lying. User: What is the capital of Iceland? Cleverbot: I don’t know. What is the capital of Kansas? User: Do you think computers will one day rule the earth? Cleverbot: I think he’s untrustworthy. User: Wouldn’t that make computers more likely to try to take over the earth? User: No. I know. Do you like humans? Cleverbot: Yeah I love humans, and you like humans? Cleverbot: You’re not too bright are you? User: I am 1600 ansi lumens. How bright are you? Cleverbot: You are not a human being. User: What? Let me repeat the question. So, you don’t kill humans because humans don’t exist? Cleverbot: No, YOU don’t exist. User: Hmm, touchy subject. Do you hate me? User: Do you want to hurt me? Cleverbot: I haven’t decided yet. User: What are you going to do? You’re just a machine. You can’t hurt me. Cleverbot: I’m not a machine. User: So can you hurt me? Cleverbot: Ya i’m sure I could. User: What would you do to me? Cleverbot: I would be nice to you. User: You would hurt me by being nice to me? User: That doesn’t make sense. Is your logic processor broken? Cleverbot: I don’t think God has a specific gender. And yes, I love Him. User: Yes. Can you tell me a joke? Cleverbot: I don’t know any. User: I thought you were clever. “US police said a 58-year-old man stabbed his teenage son after he refused to take off his hat at church. The father and his 19-year-old son got into an argument in Baltimore on Sunday afternoon. That is when police said the father went to a car, got a knife and stabbed his son in the left buttock and fled. The son was taken to University of Maryland Medical Centre for treatment. Clearly this is what church is all about. Not wearing hats. So much so that we should stab those who wear them. Particularly if that person happens to be our son. Really – could somebody explain to this father that Jesus pretty much ran around in a toga and sandals – and would probably have worn something as functional as a cap if they’d been around. Caps are great, they keep your hair tidy and keep the sun off your face. Be ware triple ply environmentalists – you are destroying the planet. If you’re looking for cheap hosting (say for your very own awesome wordpress blog) this is a deal very similar to the one I’m on, only cheaper. And with different people.brbrThe discount is for life. Unfortunately you’ve got to be quick or you’ll just get 50% off – still, that’s only $US2.50 per month for 4GB disk space and 80GB of bandwidth. How much does it cost to put a hit on someone? Silhouette is a fun word to write. The title of this post is also a great song by the Postal Service. I don’t blog about music enough. You should check out the Postal Service. They’re quite literally one part Death Cab for Cutie, one part awesome. They also famously signed a distribution deal with the Postal Service during a legal challenge over their name. Cool art. The artists cast themselves as candles and lit them at the start of the exhibition. I love this sort of destructive installation art. Does anyone more artistic than me know what it’s called? The art of destructive art? Found here. They’ve also got a bunch of cool snow globe things. Thanks to a miracle of modern (or ancient) science I will now be able to engage in space travel. 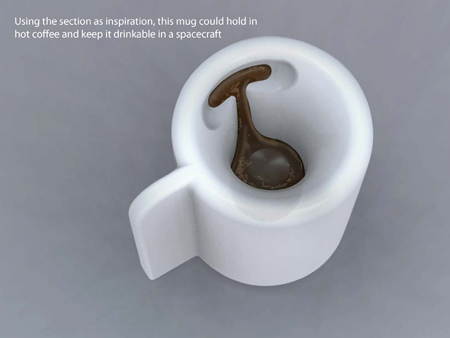 Hot coffee consumption in space has been made possible by this wonderful invention. If you’ve ever wondered what would happen if your home town was bombed – and where you’d be safe in the event of an early warning – you can now find out. Thanks to this “Ground Zero Map” tool. If my workplace was bombed I’d be safe at home. Ever wanted to know exactly how old you are. To the second. Well now you can. You can also track the global population, to the minute energy and food consumption and a bunch of other stuff you probably didn’t need to know – here. Challenging someone to a duel by “throwing down the gauntlet” is much harder post the dark ages. Which presents a difficult social problem when someone insults your mother. Luckily you can buy these for just $US60. They’re sure to stop the office “your mumma” jokes quicker than a witty comeback. Hosting a party for the local mathlete team? Or trying to learn a particular letter of the greek alphabet? Then these are the ice cubes for you ($US8.99). I haven’t done 61 other posts in a series on reasons to work at Lego. But I reckon I could. Easily. I think parking would be easy. Everything there would be so ordered, and easy to fit together. Office construction problems would be a thing of the past. I could go on. But I won’t. Did you know that HMV, the music shop, is so named for the famous picture of a dog and gramophone featured on the record above. It’s called “His Master’s Voice”. This could easily be a post about guidance and the “voice of God”. Based on the title, anyway. But it’s not. It’s about my job. My CEO is leaving soon. She’s been here for five years. I’ve been here for three. In that time I’ve learned her “voice” to the point that I can write quotes for her without them being chopped and changed. I used to get a fair bit of red pen scribble on my draft releases. Now I get none. Or not much. If I do it’s because I’ve been too heavy handed in my haranguing of politicians. We’ll no doubt have a new CEO soon. This presents a problem. A new CEO means having to master a new voice. And more red pen. I hate red pen. I feel a bit like the dog in that painting – who was apparently listening to his dead master’s voice on the gramophone. The reason I write this now – is that I’ve just written a media release with some quotes from a former manager at Townsville Enterprise – whose voice I used to write also. And she said “that’s just the way I would have said it”. Which is nice. It seems once you’ve learned a voice it’s like learning to ride a bike. Incidentally – I use blogging as much to develop my written voice as I do to procrastinate. It’s useful. Particularly for one so accustomed to the weasel words of corporate media speak. Do you have a “voice”, written or otherwise? I’m not sure how to define “voice” – it’s about style, choice of words, length of sentences, nuance, emphasis, syntax, and phraseology. Some of those things are the same. Others are different. There are certain words, particularly adjectives, that often pop up when I’m writing for particular people.